Silk and Cashmere. That must feel like wearing heaven. And it must be super warm with the depth of that fabric. I love working that stitch. Please do not let my cat know that Harry was elected Ruler of the Known Universe, since she thought she held that position. I cannot think of anyone I'd rather have as Ruler of the Universe than Harry. He's a resourceful and imaginative guy, so I expect things will be looking up soon. Ah, Mariinski Posad - I wish I had fond memories of the place, but I don't. It sounds like a lovely garden, though. Just a little bit too closer to Hariiski Posad, though, especially when you remember that M is next to N in the alphabet, and a capital Russian N is a H.
Pretty Brioche. I've become fond of the yarnover way of working it, myself. And I am *not* (not, not, not) going to study and analyze your photos to see if they are upside down. They don't look rightside up, but you wouldn't do that to us. It must be my Brioche-reading skills that are cattywhompus. WV: ulkab. Harry's preferred method of transportation out of Vostochnij Urupinsk. That's a beautiful cowl. I'm going to go have to grab some needles and yarn to follow along here. Fun! Yes, yes we did! ALL HAIL HARRY, RULER OF THE KNOWN UNIVERSE!!! I've always been curious about brioche; perhaps it's time I give it another try. Thanks for this pattern and the link to Krocus/Crocus! Go figure! I had never 'seen' the Honeycomb Brioche, I have a book, and have knit circular Brioche, but Honeycomb? It is lovely. Thanks for the pictures and detailed instructions. Thanks for this, I've been playing with the Brioche stitch lately and have to teach the Rodekool scarf to my spinning guild this weekend. It's an interesting technique. And on behalf of the entire known universe, thank you to you too. Some time I would really love to read about your Japanese embroidery. You make brioche sound so easy. Have half a hat done, got sidetracked when cat jumped on couch and 4 stitches ran away in fear. Had to get an expert to find them for me. The k 1 below sounds better. Will try that next. I so enjoy your writings and glimpses of Harry - Think I may have seen him late last year sneaking around the neighborhood - but that's another story. I think it's an axiom left over from too many Scantron exams - the answer is always C! That neckwarmer sounds amazing - silk and cashmere, yum! And you got them both to be the exact same shade of blue! Of course we (s)elected him Ruler of the Known Universe, you don't think he'd make something like that up out of thin air, do you? Harry?? I am probably one of those guilty of lurking and not commenting. I'm always glad to see your blog come up in my notifier. Keep on posting! I dare not NOT leave a comment ever again. Thanks for the enlightening post an a for me so far unknown stitch. That's Beginner's happiness: everything is new and exciting! Looking forward to Harry's post too - though I am sure I never elected him anything. How's he coping with Rambo btw? Oh, and I'd LOVE embroidery posts too! I also read your blog with great pleasure but probably haven't commented before. I frequently learn things that I didn't know before (of which, of course, there are volumes) and I enjoy your humor. Thanks for sticking with us quiet ones. I don't comment either, just truly admire your work and love your spinning posts. Particularly the supported spindle spinning videos. Awesome. So, would you be interested in teaching at SAFF? is what I just very excitedly told my baffled husband. He was baffled, not because you posted a comment, but because he really has no clue what I am going on about. Fleegle, truly, you are one of my knitting heroes! 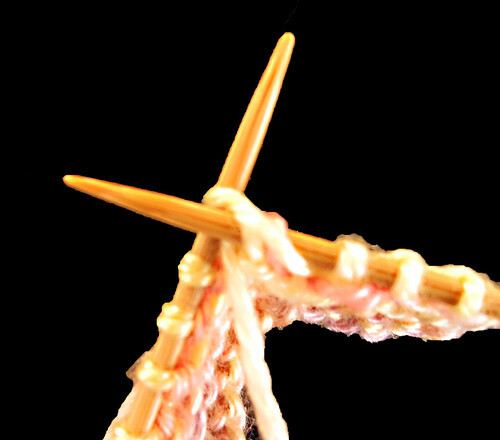 Being mostly a self-taught knitter I heavily rely on internet tutorials and explanations, and I really enjoy those few bloggers who can put the pure joy of the craft - any craft - into words. AND obviously take joy in crafting those words too! 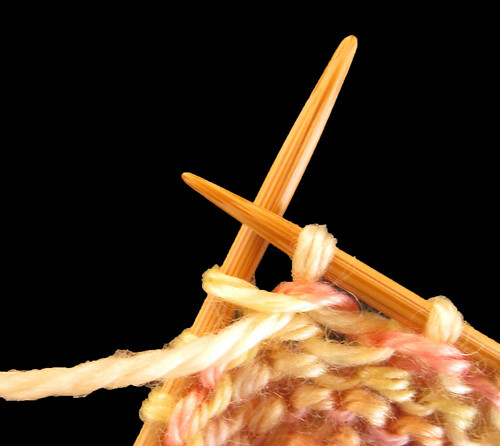 I intend to learn to knit this year and I am putting together a local craft group to keep me company. I will be sharing your blog with my friends in hopes of learning something! So please keep writing! I teach honeycomb brioche as a knit one below technique, but now I've had a "Duh" moment for not noticing that we could just pick up the slip from the row below. Thank you for a brilliant and simple explanation for a technique that tends to be mired in mystique! Oh, and I know I didn't vote Harry Lord of the Known Universe because Copernicus was already His Majesty, His Highness, His Imperiousness, Lord of the Universe. Thank you for the excellent photos documenting brioche. 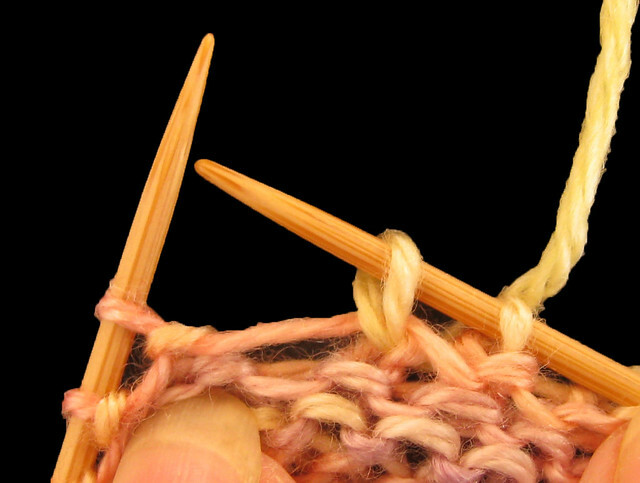 I've read lots of instructions on how to do it, but had been confused by why some talked about slipping a stitch and others knit in the row below. Never dawned on me that it was two ways of achieving the same result until I saw your photo. D'oh! 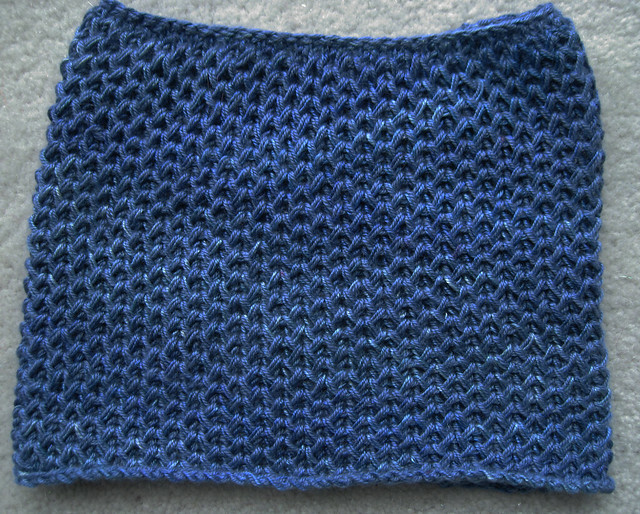 that's a beautiful texture.. thanks for showing about the knitting in the st belwo taht gets me every time! It's my first time here and You gave me exactly what I needed!! I just tried to find circular honeycomb brioche last night but couldn't find anything really and now just stumbled on Your blog. It's much appreciated. Thank You! OOO very pretty! I can't imagine how soft this is, and I love the color. Thanks for sharing how you did it. 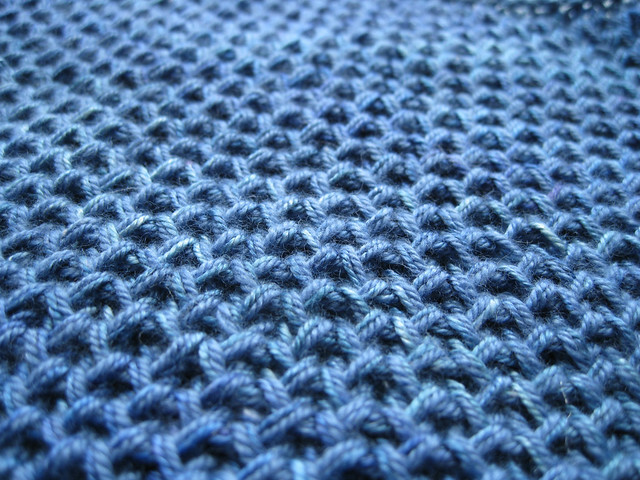 I've always wondered about the brioche stitch. Your tutorials are so good and informative. Love seeing the step by step pictures. You really should write a book! I'd buy it. Great post! Thanks for the brioche tutorial. 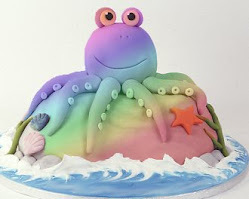 I did get a bit of an eye-glaze reading the spinning tutorial(s), but I think it's 'coz I'm trying so very hard not to pick up another fibery hobby. Concentrating, as it were. Oh, I would love a video of this honey comb brioche in the round! I am a headstrong advanced-beginning knitter and I am determined to do this pattern! I've had trouble with rows 4 and 6 A video would be an amazing resource to get through these. Any possibility of posting one?